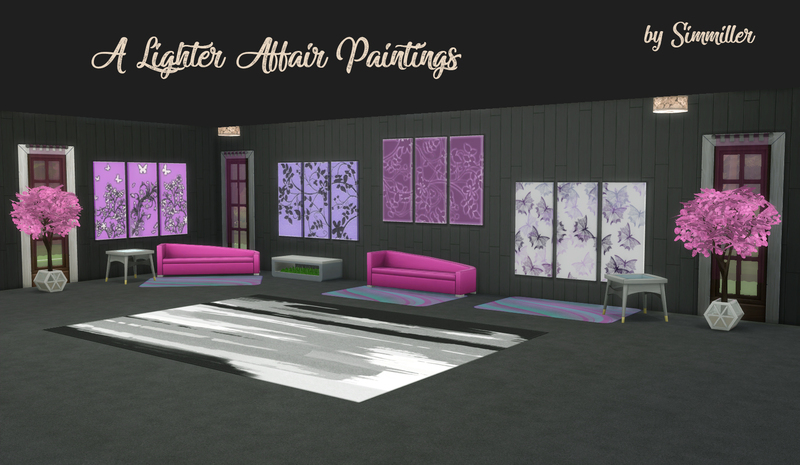 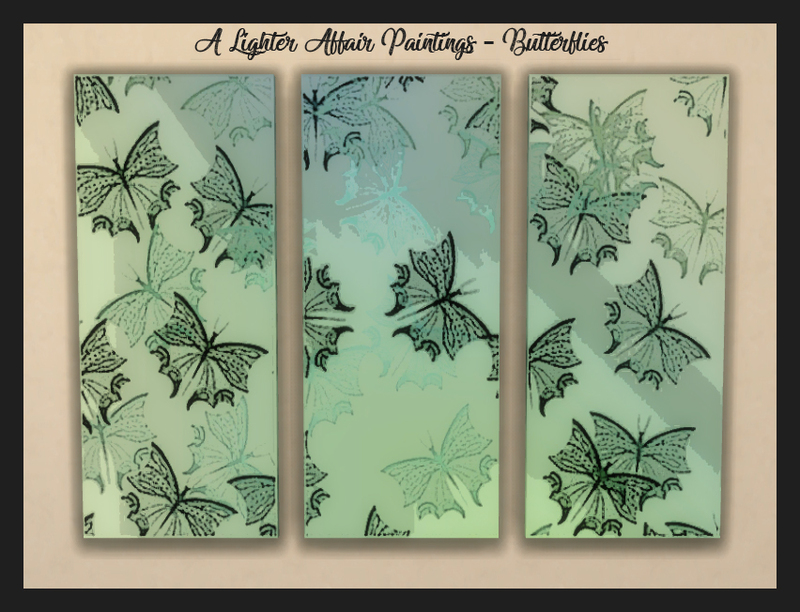 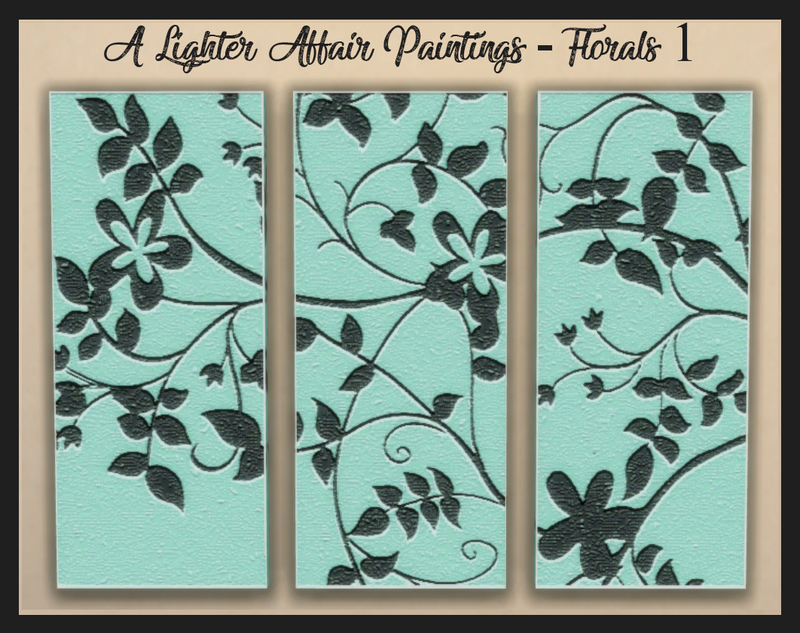 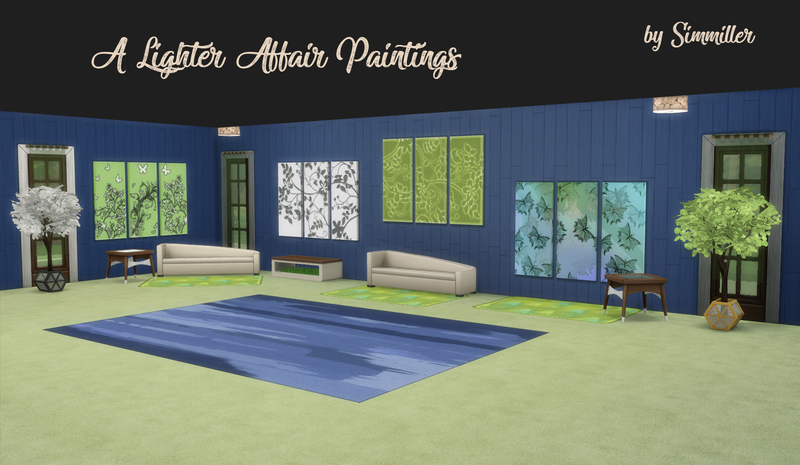 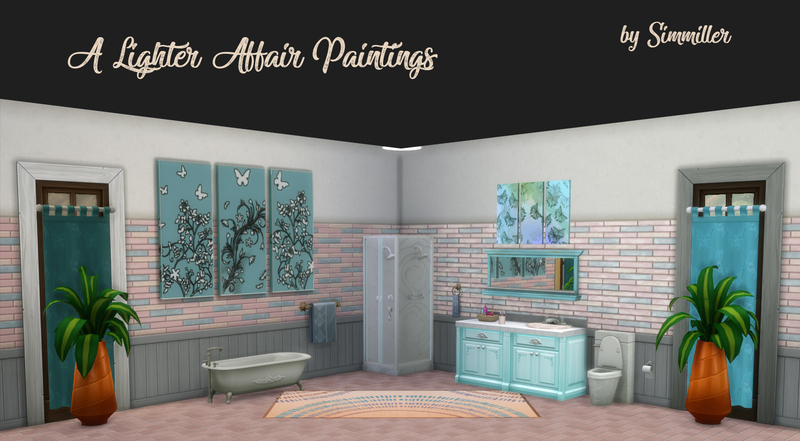 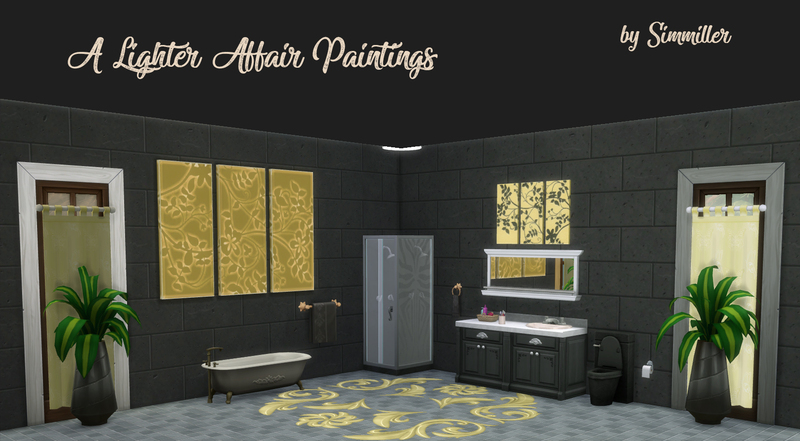 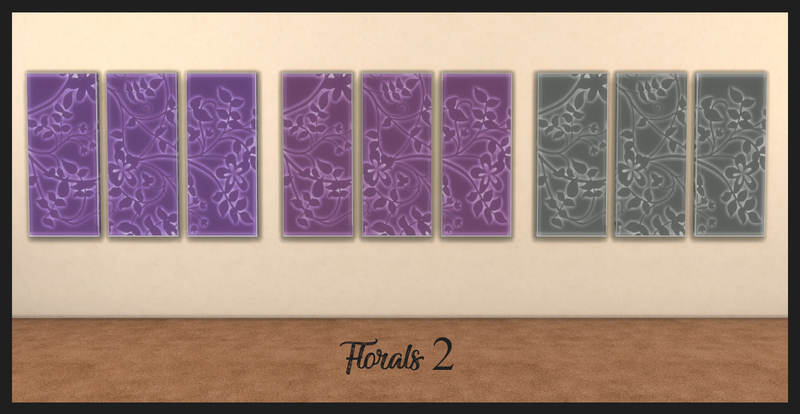 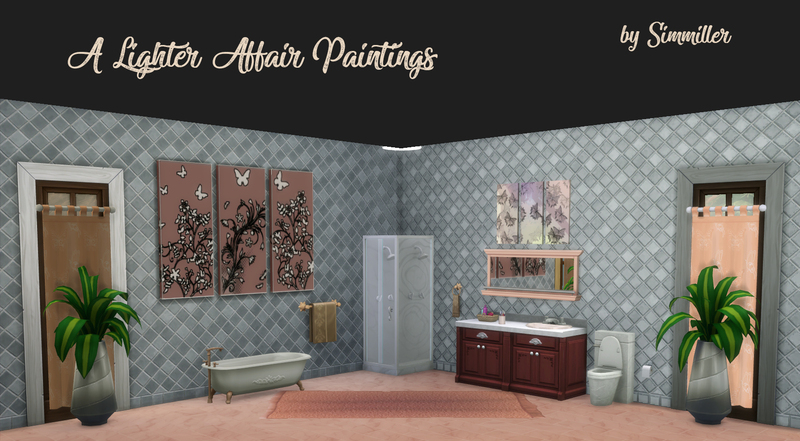 Today I bring you 4 paintings, each in multiple colours, to brighten up your Sims' homes. 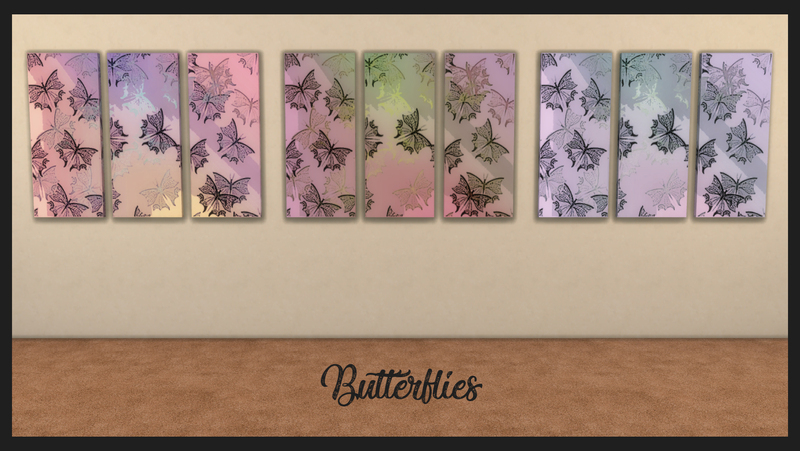 There are a total of 80 colours to choose from, so I hope you find something suitable for where a fresh, light touch is desired. 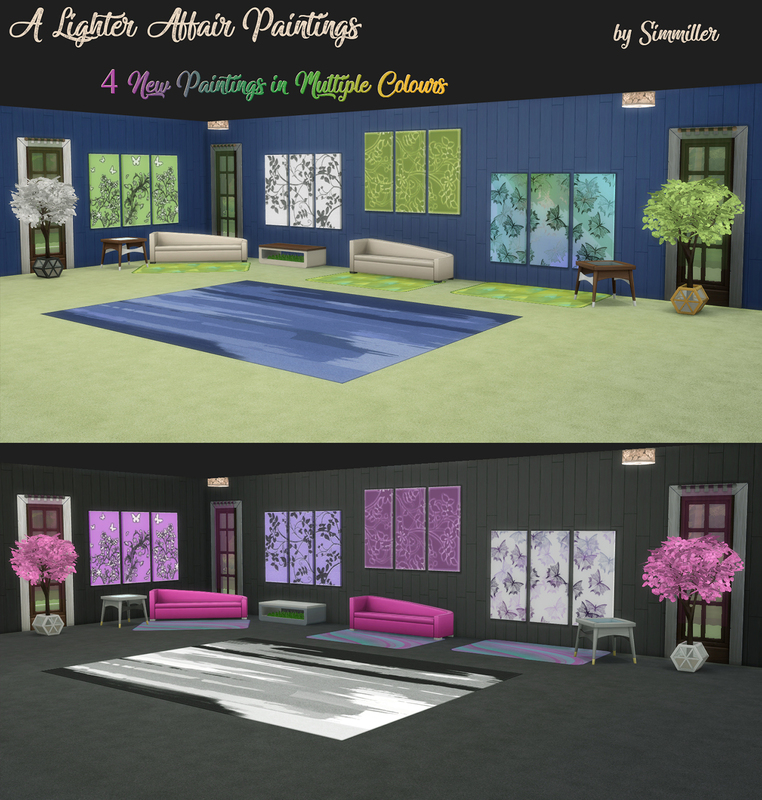 This set is cloned from the City Living EP (required as these are recolours), specifically the smaller Echoes of the Past painting. 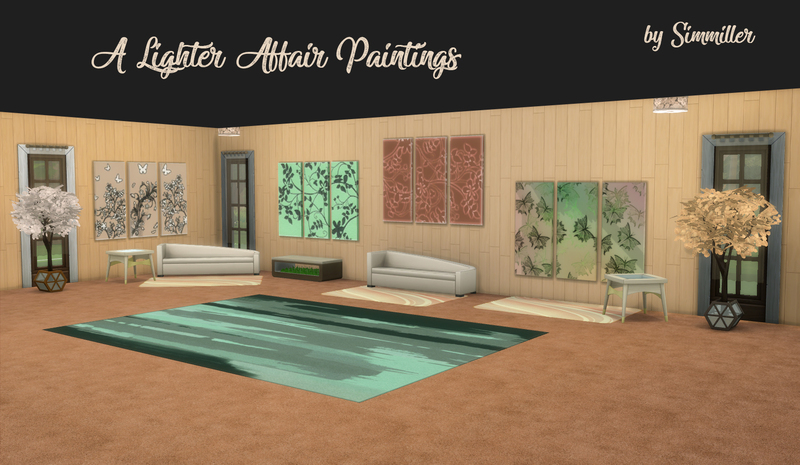 You'll find them in the catalogue in Decorations/Paintings and Posters, for a cost of �1200, with an Environment Value of 5, for a great happiness buff! 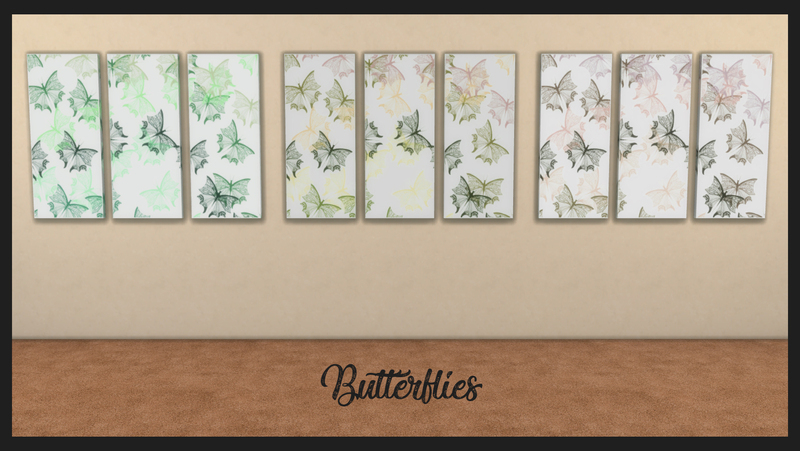 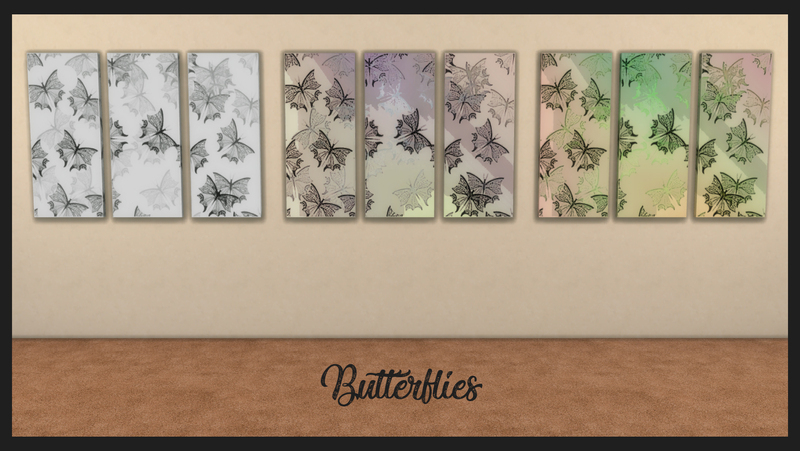 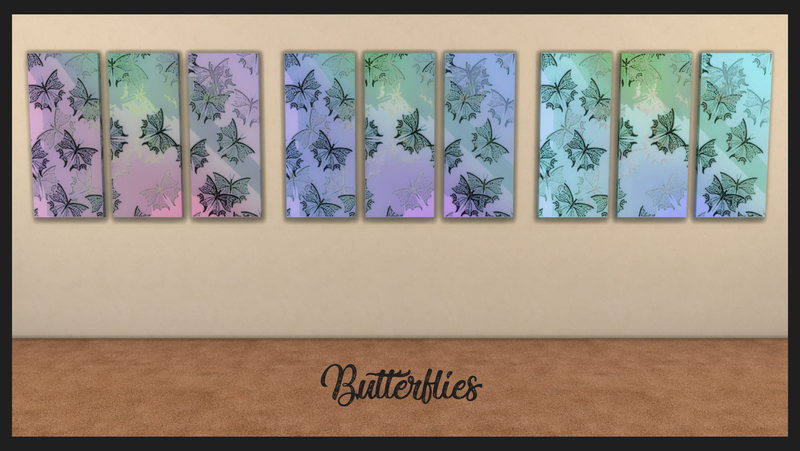 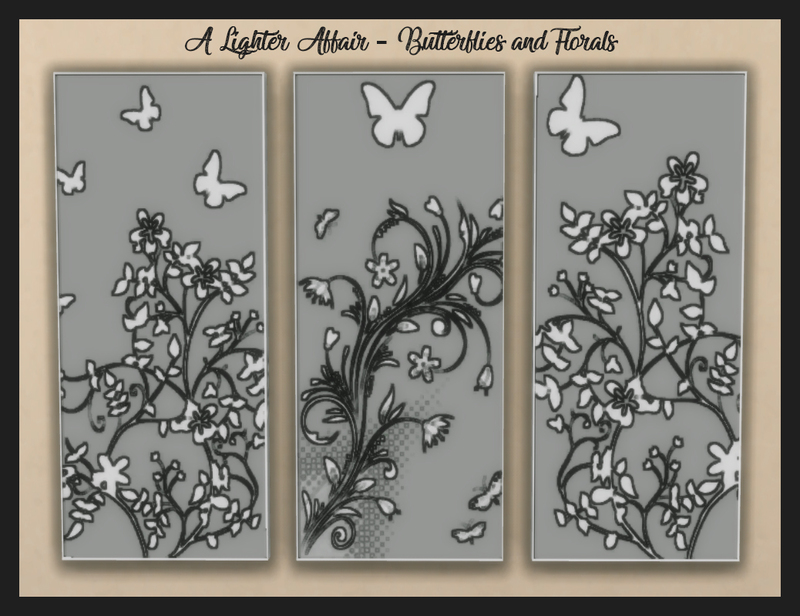 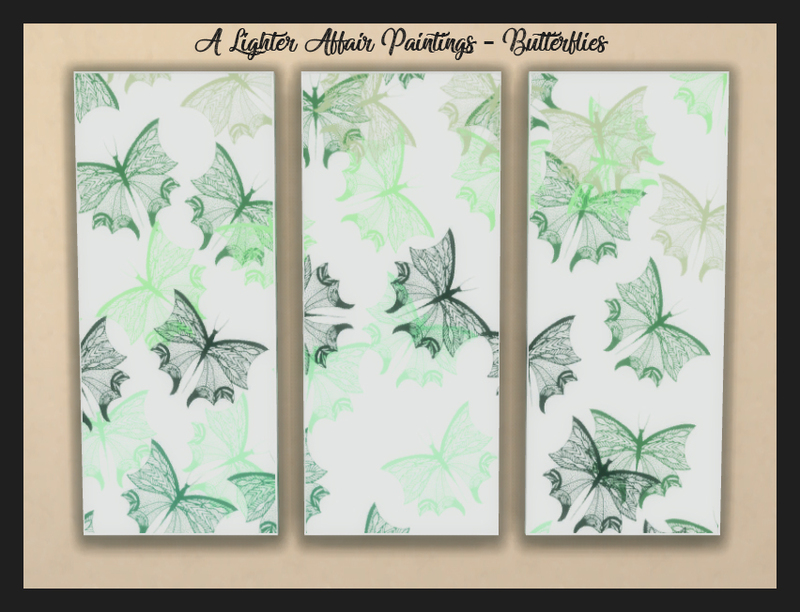 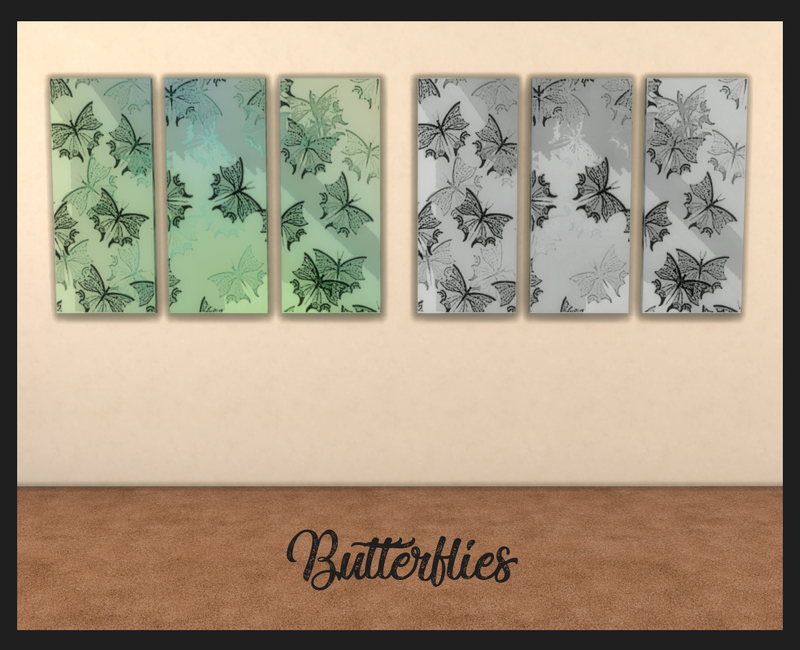 I originally made these paintings quite a while back, and when someone noticed the blue butterflies painting in a screenshot in one of my other uploads, they asked if I was going to release it. 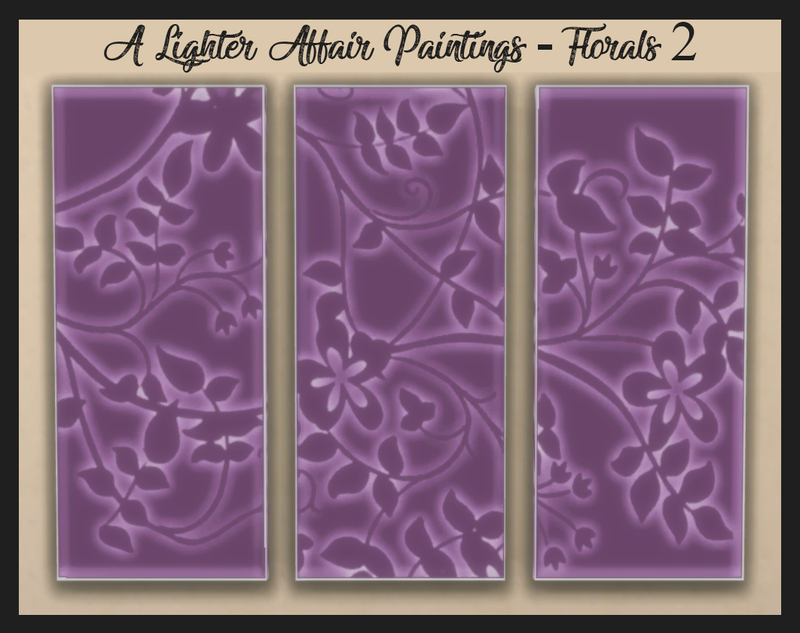 So, inspiration sparked, and I decided to make more colours of each painting I had made at the time for this upload.